Every football player wants to win trophies. Trophies are the achievements that make you an accomplished footballer. However, not all great players get to win trophies. Here three famous football players who never won any trophy. The Italian striker was a late-bloomer in football. There was a time when Di Natale was one of the leading strikers of Serie A, twice he won the top scorer and the Serie A player of the year in 2010. Unfortunately for him, he played for a mid-level Italian club, Udinese and never managed to reach the final of a cup competition during his entire club career. Even in his international career, it was a similar story with Italy where he was part of the squad which lost 4-0 to Spain in the Euro 2012 final. The famous English forward enjoyed a great career for both club and country. However, it looks like Defoe’s impressive top-flight career will end without him winning a trophy. Jermain Defoe is one of the Premier League’s all-time leading goal scorers. Unfortunately, has only a Community Shield runner-up medal as his only achievement. He played most of his career at Tottenham Hotspurs. However, in 2008, he left Spurs the week before they beat Chelsea in the League Cup final, and was then cup-tied as his new club Portsmouth won the FA Cup that year, isn’t that very unfortunate? Leighton Baines will go down in history as one of the best left-backs the Premier League has ever produced. In fact, there was a time when he was the most sought after left-back in English football. 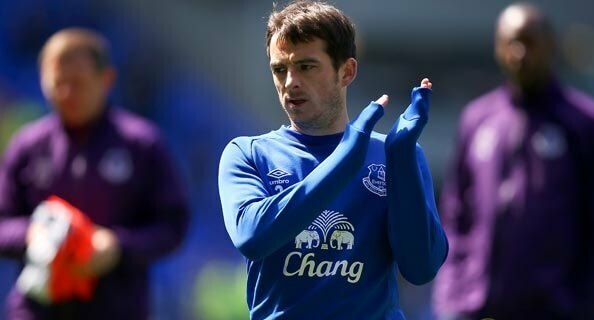 Baines was widely known for his pinpoint crossing and lethal accuracy from set-pieces. Even Manchester United reportedly wanted to sign him, but Baines chose to remain at Everton. In 2009, he lost side an FA Cup final with Everton and has also lost in two finals in the League Cup and Championship with Wigan.